According to statistics, a significant number of diseases are caused by poor hygiene. In some parts of the world, maintaining a good hygiene is seen as a luxury as individuals can barely meet their basic needs. Hygiene can refer to keeping the body clean, grooming, as well as oral care. Without good hygiene, the probability of contracting an infection is very high. For example, failure to wash your hands could lead to serious illnesses such as cholera and typhoid. There are basic hygiene habits, like washing your hands, that can help protect against illnesses. However, many people don’t realize that their hairbrush can be a source of bacteria. Individuals often overlook the cleaning of their hairbrush, but it’s important to give it a good cleaning on a regular basis to maintain good hygiene. 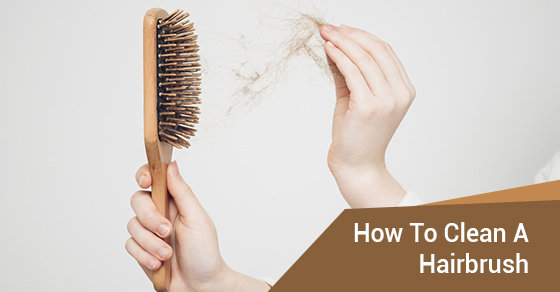 After using the brush, some hair is likely to be left behind. Before cleaning the brush, it’s important to remove all of the hair. This can be done with your hands or any other item could that could make the work easier. To make it easy for you to remove the hair and wash the brush, apply some shampoo and carefully rub the brush with your hands. Some hair could still be left on the brush, in that case, use warm water. You could also add some more shampoo to the water. To remove the hair easily, consider using a toothbrush. To avoid the growth of germs in the brush, dry the brush thoroughly — germs thrive well in humid conditions. Maintaining good hygiene helps to boost your confidence. For example, if you maintain a good oral hygiene, you will feel more comfortable smiling and talking to other people. Failure to observe good oral hygiene can lead to infections such as gum disease and dental cavities, and the infections can result in discoloured teeth. Individuals with discoloured teeth can become self-conscious when smiling or laughing in public. Some infections result from the failure to wash hands after work or after visiting the restrooms. These infections could be easily avoided. some individuals ignore the simple precautions such as washing their hands, but the consequences could be devastating. When you maintain good hygiene, you can avoid unnecessary medical costs. After taking basic hygiene into account, your next step should be cleaning your hairbrush — especially if you share one with others. In a household with several users of one hairbrush, the sharing of bacteria is imminent. Therefore, the family members should be aware of how to clean the tools after using them. If not properly cleaned, the tools could also promote the growth of germs and eventually affect the user. Households are not the only place where caution should be exercised when it comes to keeping hair tools clean. Without the knowledge of how to clean the tools used, hair salons are likely to transfer various bacteria to their customers. The attendants of beauty shops should learn how to clean the hair tools used to ensure that their customers are satisfied. Some scholars argue that the retention of customers should be the focus of any organization. To retain them, there is a need to provide better services than the competitors. By using well-cleaned tools, they are likely to retain the customers as they would not contract infections after using the services. To learn more about how to keep your personal hair tools clean, contact Sunrise-Cleaning today.